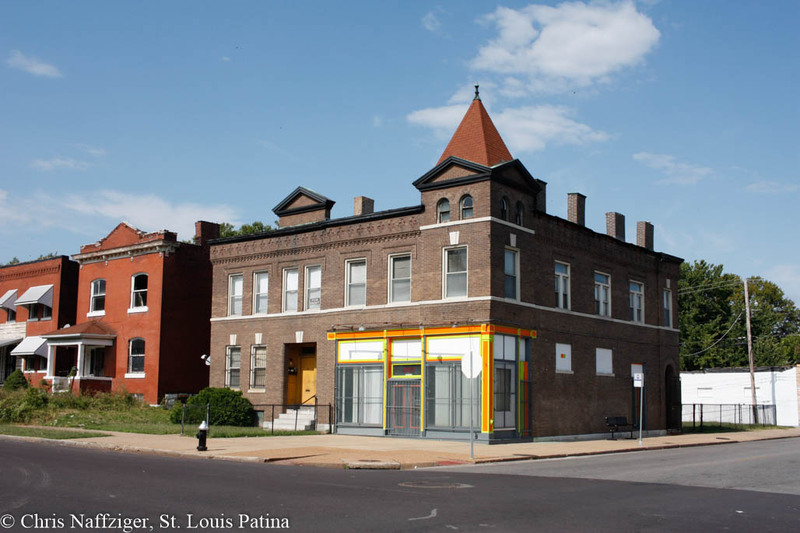 I’ve long said the intersection of Sarah and St. Louis Avenues in the historic Ville (or technically Greater Ville) neighborhood has one of the most cohesive and beautiful ensemble of corner storefronts in the city. 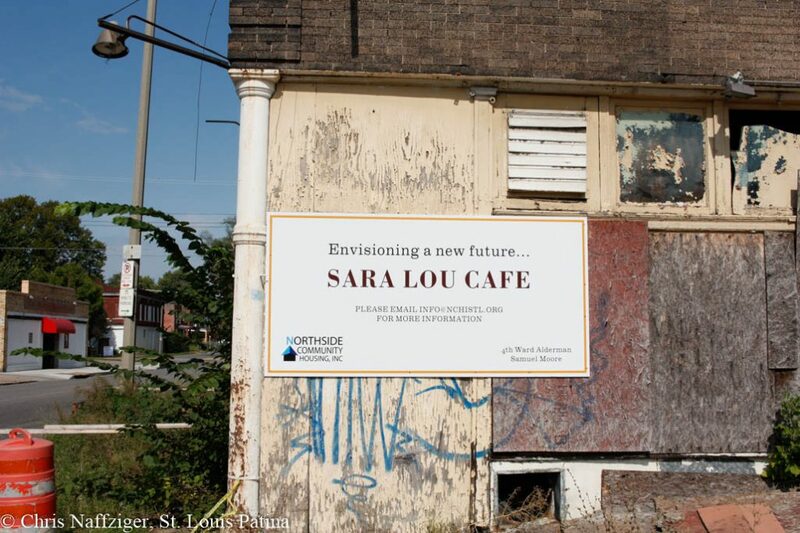 But as I’ve been documenting for years, the most famous corner, the former Sara Lou’s building, has not been doing well, and the owner had passed away in 2011. And I was even more worried when I noticed the iconic neon signs missing. But do not fret! 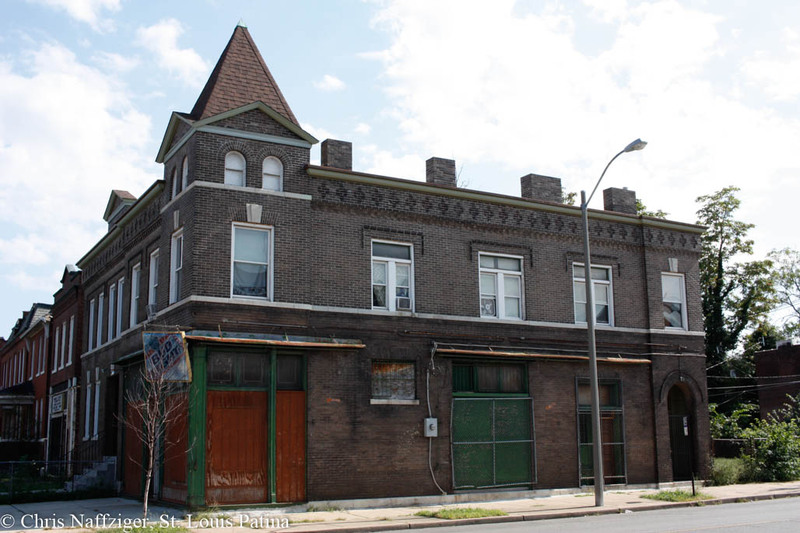 I discovered that Northside Community Housing is on the job to save this important landmark (disclaimer: I serve on the board of a non-profit that works with them), and I learned from a man on the street that there are big plans for saving the building. 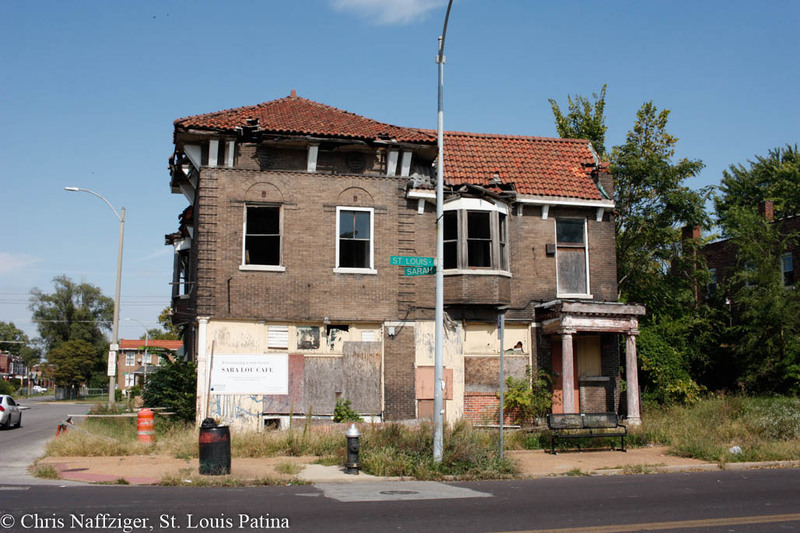 But I want to stress that the other three corners, such as the northwest corner below, are also beautiful and actually in great condition. I took these photos on a Saturday, so I’m not sure if this building is occupied or not. 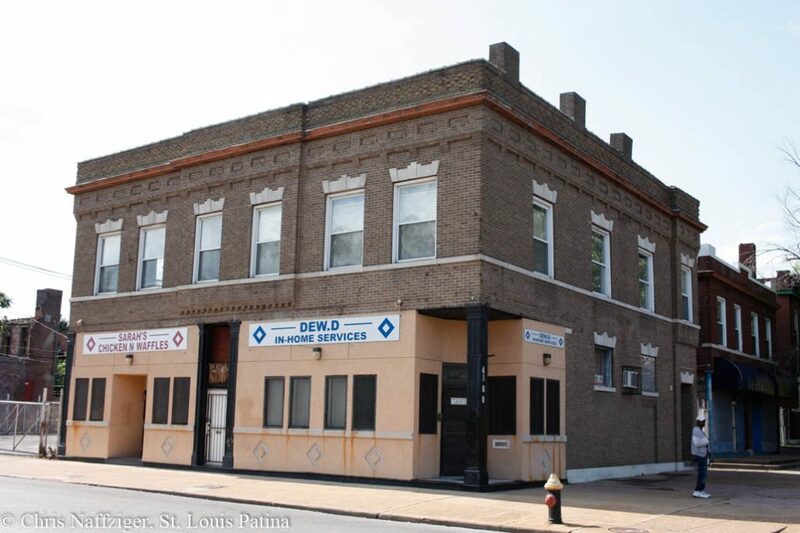 See this building back when it was a liquor store here in 2009. 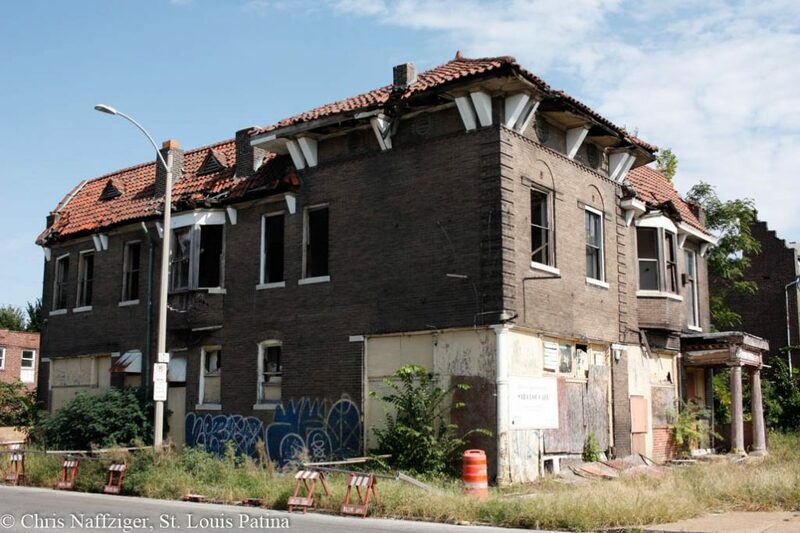 The man I spoke to is out in front of the building on the southwest corner; he told me he was working on a new housing project down at Sarah and St. Ferdinand Avenue, which I will show tomorrow. I remember when the corner store in the southeast corner was still open, and my friends and I actually bought drinks from them back in 2009 when we first discovered this amazing intersection.